The idea of an enterprise demo centre was realised in the autumn of 2015, and we immediately began to search for suitable rooms and business partners. Our partners, Tartu City and County Development Centres, immediately gave their consent. The ideal rooms were found at the end of 2015 when PRIA and Catwees moved to their new locations meaning that unique building in the city centre became available. The new owner of the building, has always supported the creation of this centre with his leadership. In late April 2016, we moved into new but still empty rooms, which, within 5 months, were filled with amazing displays about South Estonian companies. In 2017 we hosted more than 5000 visitors from 20 different countries to whom we presented more than 40 companies and their awesome solutions from South- Estonia. We organised or co-organised more than 100 events (workshop, seminar, networking, etc.) for entrepreneurs. The feedback both from partners and visitors is very positive – thrilling, exciting, intimate, inspiring, comfortable, and inviting are just some examples of the kind of feedback we have received. In addition to the physical environment, the synergy generated between the various partners and business units and support structures plays a role in the positive atmosphere of the centre. Tartu Science Park (TSP) was established in 1992 as the first of its kind in the Baltic states. The ownership structure changed in 1996 and the City and County of Tartu, Tartu University, the Estonian University of Life Sciences and the Institute of Physics founded the Tartu Science Park Foundation, which operates to this day. (Uuri sisuliselt) The aim of TSP as an innovation support structure is the generation of science- and technology-intensive businesses, supporting their development and activities by providing infrastructure and business development services in South Estonia. TSP’s vision is to be an international growth centre for science- and technology-intensive companies and to be the innovation system development engine of the region. Consequently, TSP’s aims are to create an attractive business environment via real estate development, to offer an incubation service to support start-up companies, to develop semi-industrial laboratories, to support high-tech industries, to design international co-operation networks, and to develop innovative organisations. There will be plenty of opportunities to engage in collaborative projects in the community, since there are more than 80 companies. TSP is, as a office space landlord, an attractive environment for both domestic and foreign knowledge-based businesses. In this kind of environment, there is a greater chance of success for science and technology-intensive enterprises. Tartu Science Park encourages regional businesses for innovation and cooperation. They also act as a go-between with international contacts, offer technological services and promote business support organisations in the region. TSP is a co-founder of the Tartu Regional Energy Agency and holds a 50% stake in the accelerator of the business Building Accelerator LLC. TSP has been cooperating with the European Space Agency (ESA) since 2016 so that the business incubator of ESA could start working in Tartu in 2017. 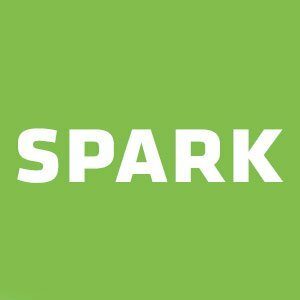 SPARK Demo is grateful to its partners for pleasant and constructive cooperation.